If you’ve been in the travel industry for some time or have ever applied for a travel merchant account, you’ve probably discovered that major banks and payment processors don’t work with “high-risk” travel merchant accounts. It can be frustrating and downright discouraging to be turned away based on your industry, and not based on your history and success as a business. The bad news here is that your descriptor as “high-risk” isn’t going to change anytime soon. Financial institutions avoid any business that could end up leaving them to deal with financial liability. The good news is that there are merchant account providers who specialize in high-risk industries and high-volume travel merchants. The answer is almost always chargebacks. A chargeback occurs when a customer calls their credit card company, claims they did not authorize a purchase, and the credit card company cancels the transaction. Chargebacks are known to plague the travel industry, and they have several negative consequences for businesses. First, the money can disappear from your bank account without your knowledge, making your cash flow unstable, and in the case of travel merchants, one chargeback could mean hundreds or thousands of dollars lost. Second, chargebacks are costly. LexisNexis determined in 2016 that chargeback fraud (when a customer initiates a chargeback despite having legally authorized payment) costs businesses $2.40 for every lost dollar. Further, chargebacks, disputed or not, contribute to a business’ chargeback ratio. This number determines what kind of rates businesses can get for payment processing, and if the number is high enough, chargebacks can result in a business’ account being frozen or dropped from a merchant account provider altogether. High average tickets and chargebacks combine to further impact the travel industry’s risk level. Consider a travel package consisting of airfare, lodging, transportation, and maybe a guided tour—for a family of five. The value of this package easily amounts to thousands of dollars. If this purchase were to become a chargeback, that’s thousands of dollars that your business is liable for. And if you don’t have the funds to handle this kind of chargeback, your merchant account provider becomes responsible for the loss. Unfortunately, part of the risk of acquiring travel merchants comes from a high failure rate in the industry. Many travel businesses fail, leaving presold services unaccounted for. Whatever services the business can’t fulfill, or payments the business can’t afford to reimburse, become your processor’s problem. Finally, the nature of the travel industry results in services being sold in advance—sometimes months in advance. If payment is collected before services are fulfilled, customers have plenty of time to change their mind and cancel the trip. If payment is collected too long after the trip is confirmed, the customer may forget they authorized a transaction, and initiate a chargeback. Cancellations, refunds and chargebacks all make for a volatile cash flow for any business. The travel industry is especially susceptible to all three. Operating in the travel industry carries an irrefutable and highly discouraging amount of risk. So, what steps should you take when applying for a high-risk travel merchant account? Personal credit scores are often an indication of how the owner will operate their business, and the likelihood of their paying bills on time and in full. Business bank statements are used as evidence of the applicant’s requested processing volume and that the business is profitable thus far. A high volume is not a deal breaker for a high-risk applicant, but your merchant account provider needs to have an accurate idea of what to expect to be able to provide you with the best and most accurate information. In some cases, it is necessary to open multiple merchant accounts or open offshore accounts without volume caps. High-risk merchant account providers understand that chargebacks probably won’t be eliminated, but it is important to have a plan in place for preventing and controlling your chargeback ratio. Calculate your current chargeback ratio here. Finally, a website with clear cancellation and refund policies demonstrate the business’ effort to run an honest and transparent business. Any business that misrepresents itself to customers is likely to be denied a merchant account. A fully developed website is also an indication of a developed and established business. Knowing why your travel business could potentially put a bank or payment processor at risk, you have the information to be able to combat the issues head-on. Take a look at this page on how to mitigate risks associated with chargebacks, and ask any merchant account provider about the tools they offer merchants to prevent chargebacks before you submit an application. Your travel business may need to apply for a merchant account with a high-risk merchant account provider, despite your best efforts at mitigating risk. A high-risk merchant account will provide you with even more tools for fighting fraud and preventing chargebacks that a standard-risk provider won’t. Offshore processing may also be appropriate for your business. If you’re dealing with a high volume of payments, offshore processing will mean higher or nonexistent volume caps. 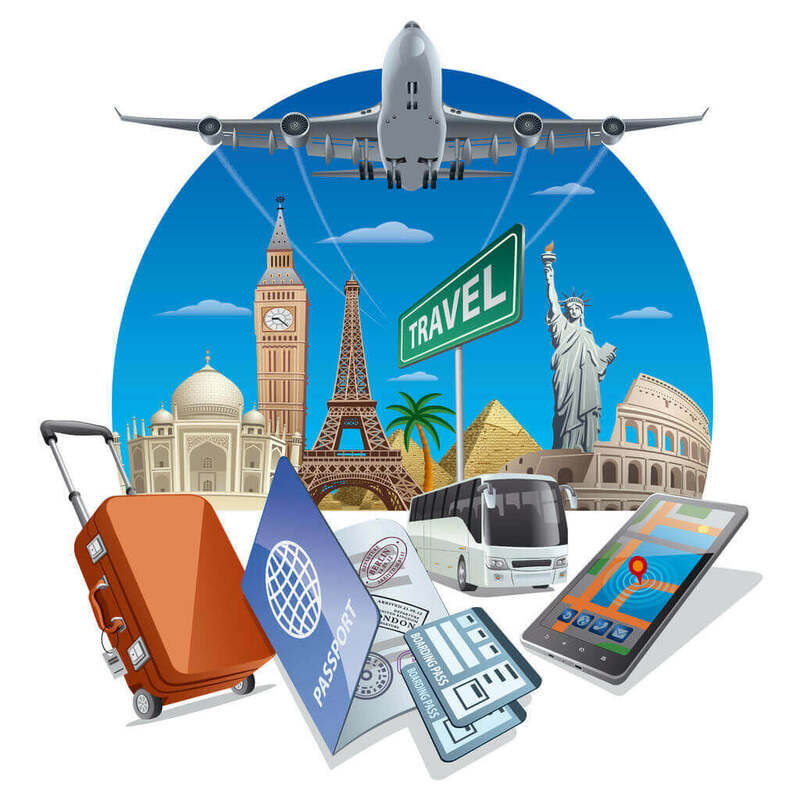 In sum, there are many tools available to your travel business to mitigate risks and process a high volume of payments. Apply for a better travel merchant account today to get started.